Compile a data sheet for Microsoft server and application licenses and cloud services with current prices and explanations. Choose from a complete list of Microsoft licenses and licensing programs. Compare Microsoft Volume licensing programs by terms and prices. Office 365 is Microsoft's productivity solution in the cloud. It is sold in suites that are available for every organization, regardless of their size. Office 365 is licensed on a per user basis. 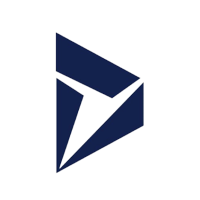 Dynamics 365 is a product line of enterprise resource planning (ERP) and customer relationship management (CRM) applications. Is sold in two editions, the Business and the Enterprise Editions. Server operating system. There are three primary editions of Windows Server: Standard, Datacenter and Essentials. Licensed objects can be physical cores in the server, users, and/or devices. Desktop operating system. An important component of the IT infrastructure of any organization. There are two core editions: Professional and Enterprise. Licensed on a per device basis. We keep our prices as low as possible all throughout the year. Unlike other stores, we don't inflate our prices and then lower them in order to offer artificial "sale" prices. No matter when you place your order, you can be assured that you're getting the lowest price on the market. We are able to process and begin shipping your orders immediately after you place them. If you need Microsoft licenses ASAP, we can always help you and place your order without upfront payment. We can provide net 30 payment terms. Our employees on average have at least 10 years of experience working for us and are some of the most helpful and qualified in the industry. Contact a sales representative today and start a relationship. We look forward to working with you! If you are a purchasing agent or a large volume buyer, you will benefit by purchasing from us. The more you buy, the more you can save. Our big deals programs may help you save even more on your large purchases. Contact one of our sales representatives to get started. You won't find better pricing anywhere else! We are committed to protecting your privacy and we employ multiple safeguards to keep your information safe and secure. Additionally, your e-mail address will only be used for the intended purpose. We never sell or trade e-mail addresses. We worked with Michael. He is amazing: fast, professional, competent, detailed, responsible and responsive ... what more? Oh yea, an expert with MS Dynamics CRM loaded with LinkedIn Sales Navigator! What a great pleasure to work with Michael! Why Buy From IT Partner?